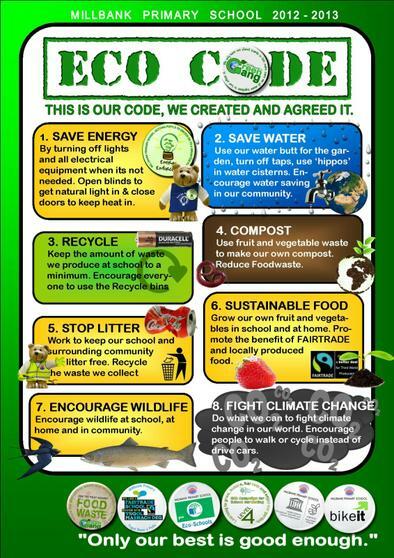 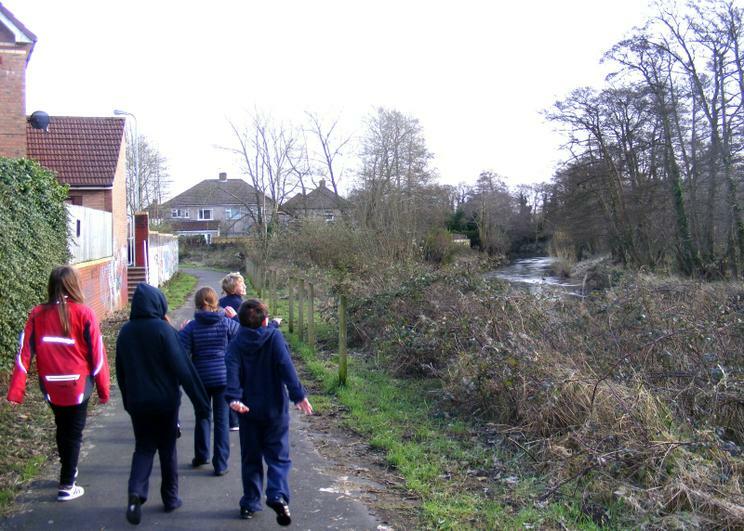 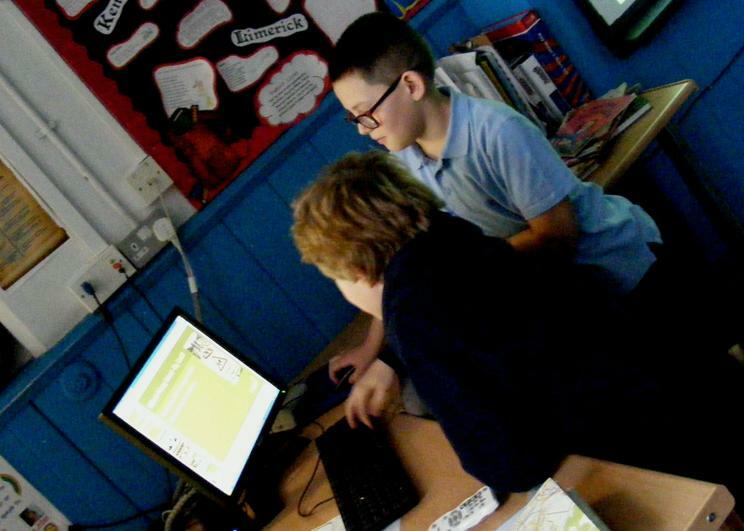 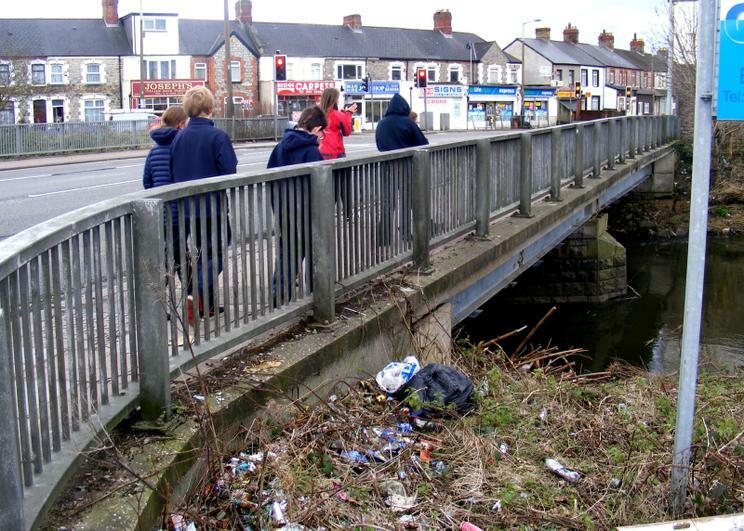 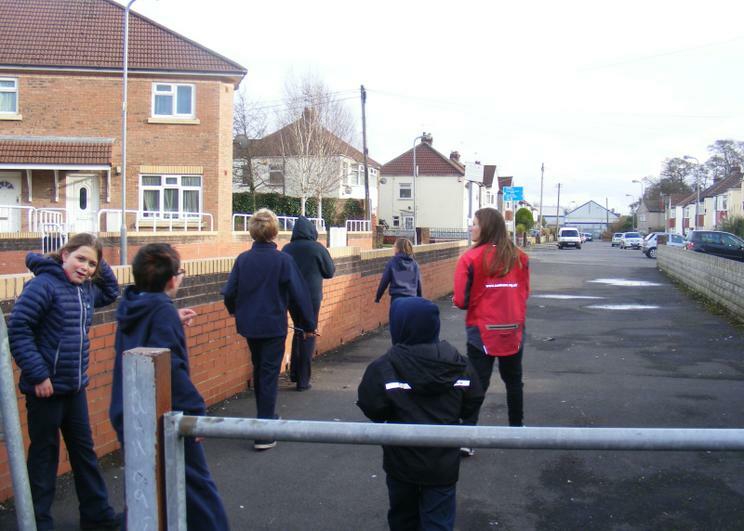 As a BikeIt school we want to promote more cycling and walking to school instead of car journeys, its one of the items agreed by everyone on our school eco code. 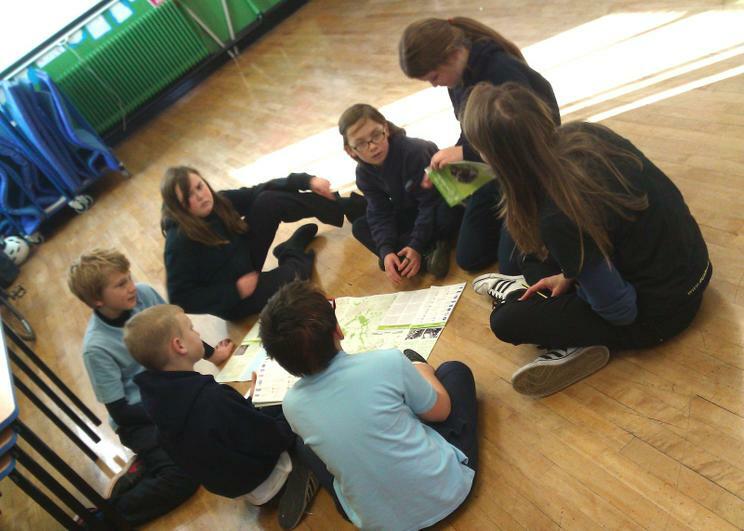 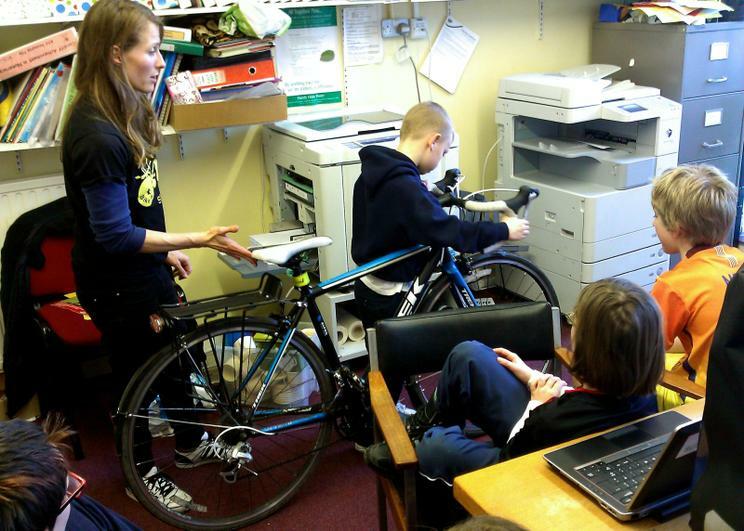 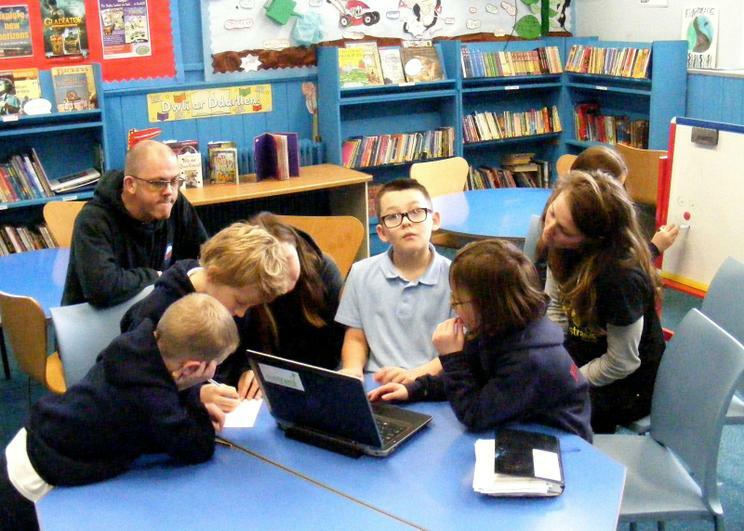 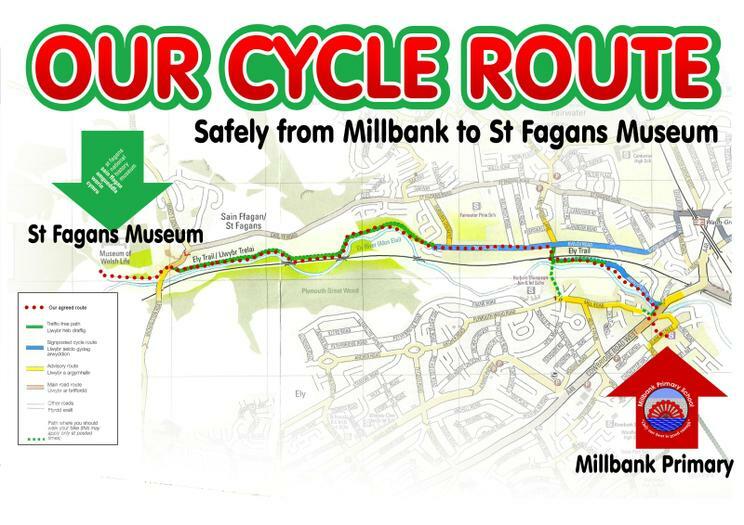 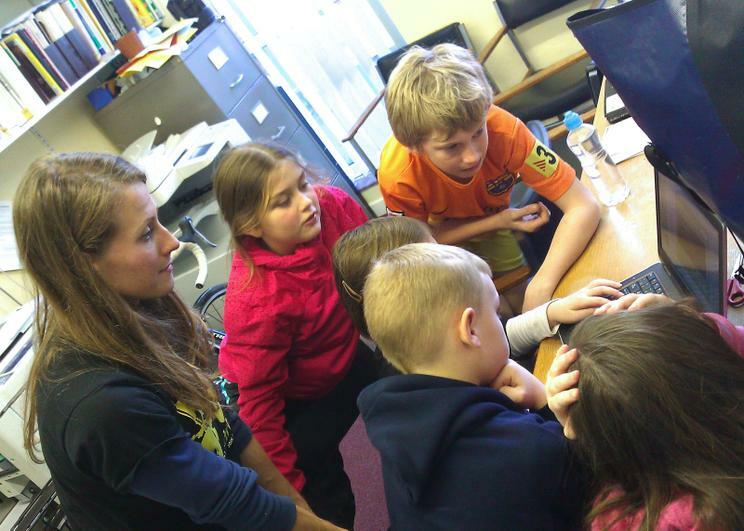 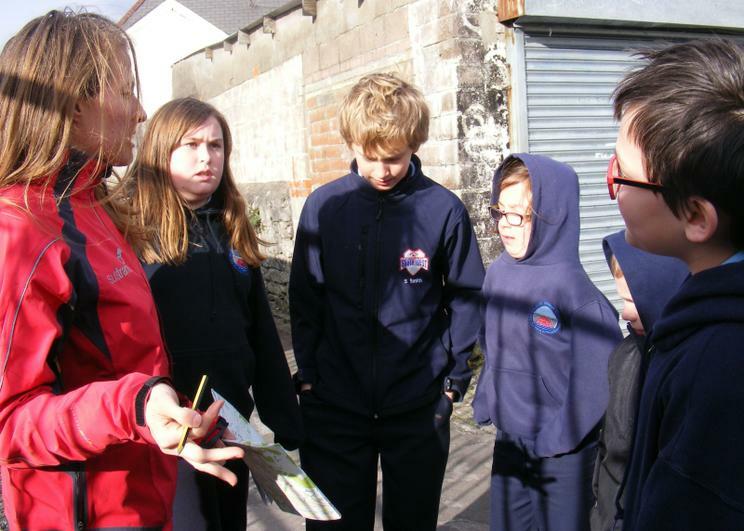 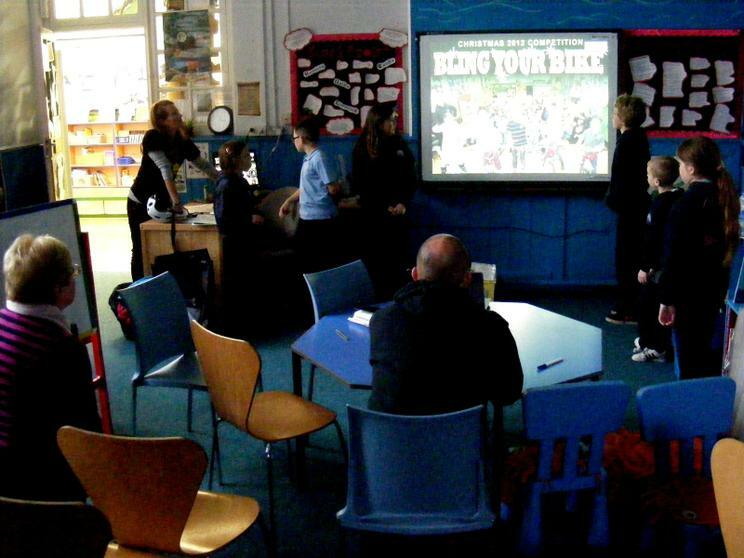 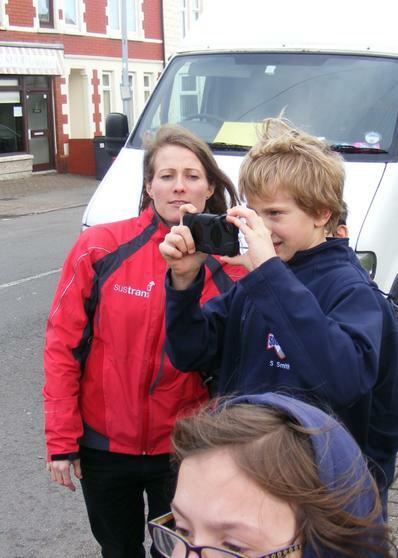 Working with Roxane (our BikeItofficer from cycle charitySUSTRANS) pupils used their new mapping skills to plan and organise a cycle trip from the school to the museum at St Fagans. 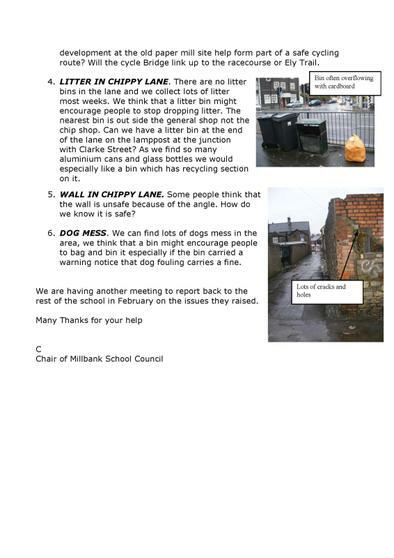 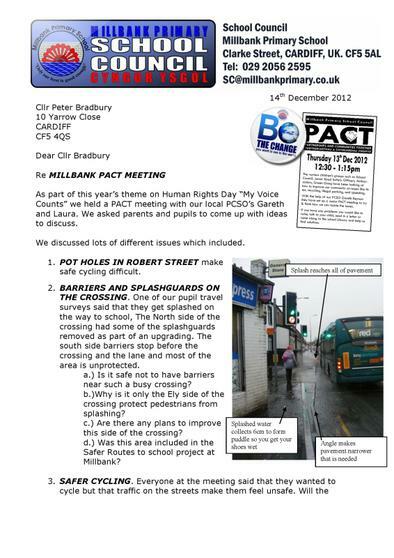 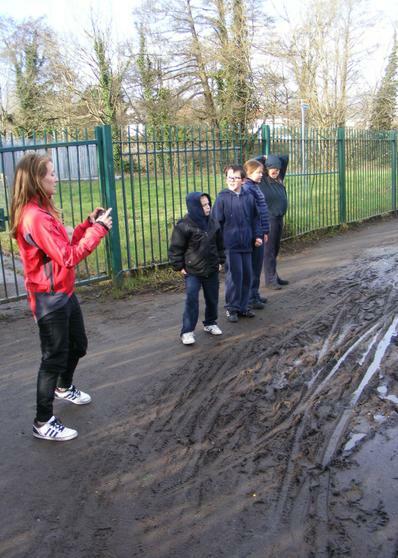 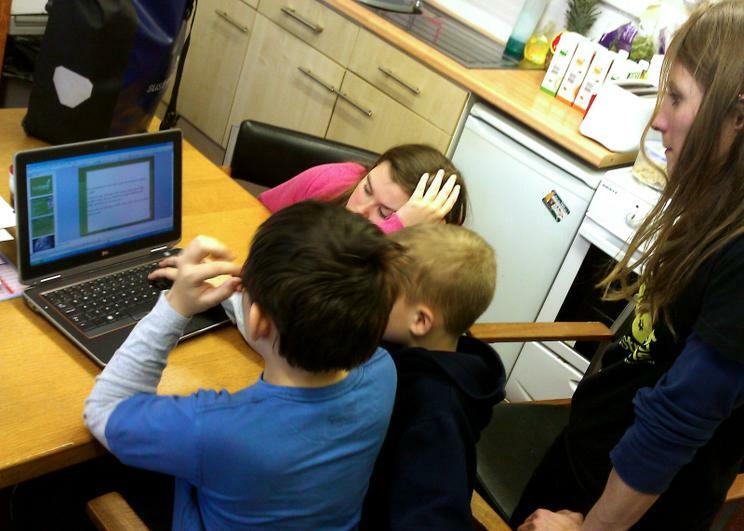 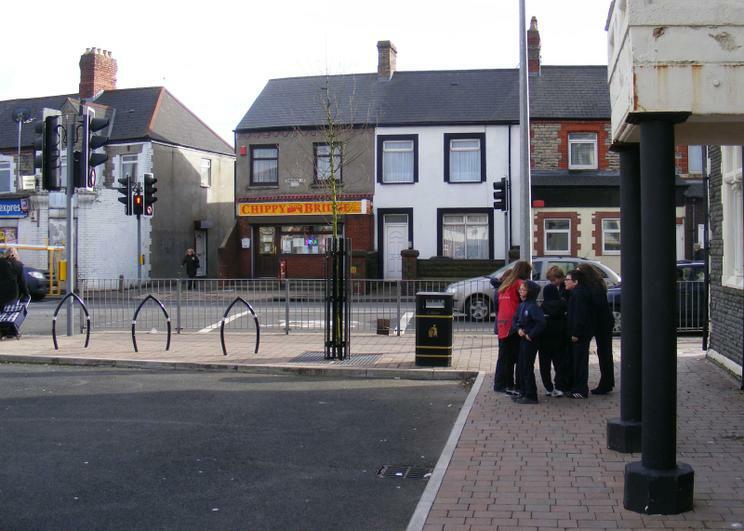 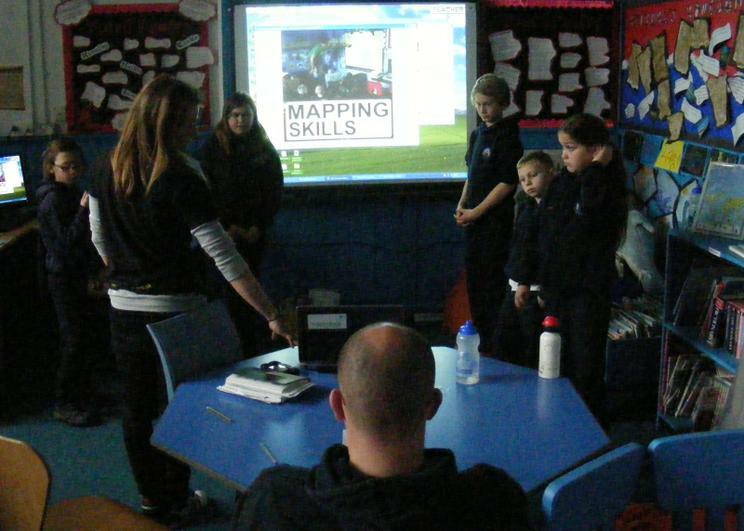 One of the items raised at the school council's PACT meeting was the problems pupils felt they had cycling to school. 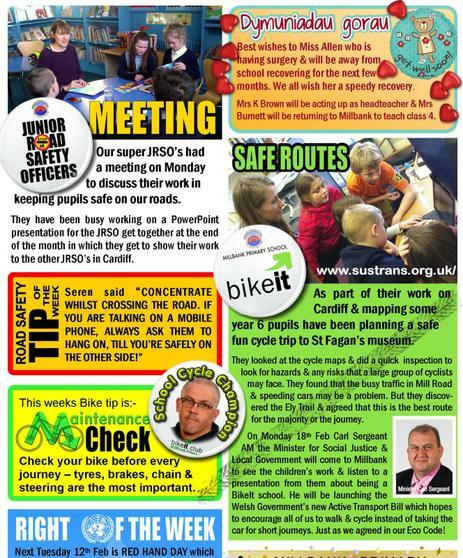 They felt that the roads were unsafe to use their bikes. 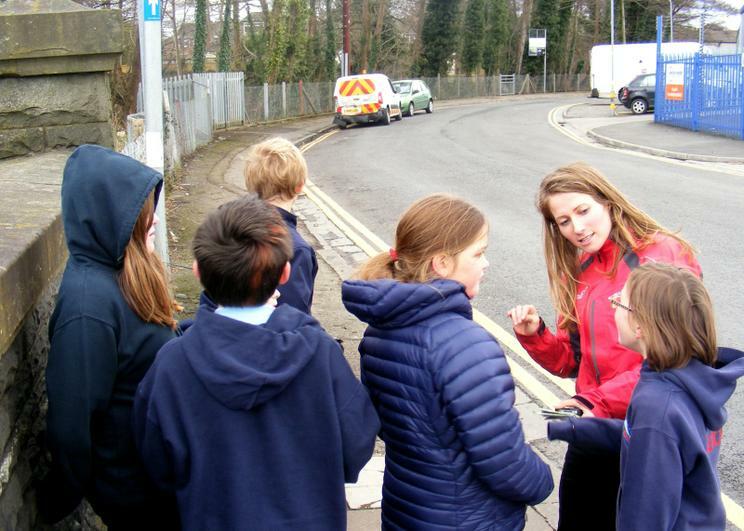 We all know that active travel makes you healthier, it's better for the environment and leads to safer streets. 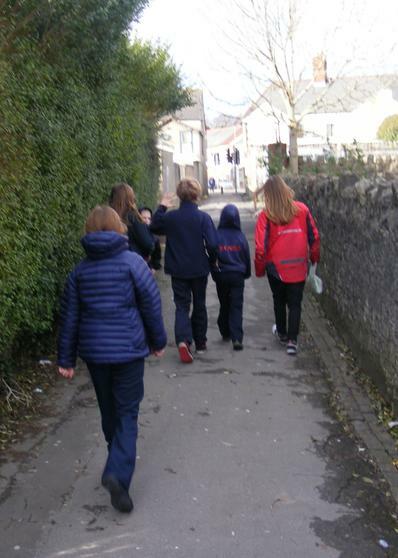 Data from a Danish experiment last year also suggests that walking or wheeling to school will help children concentrate better on their studies too! 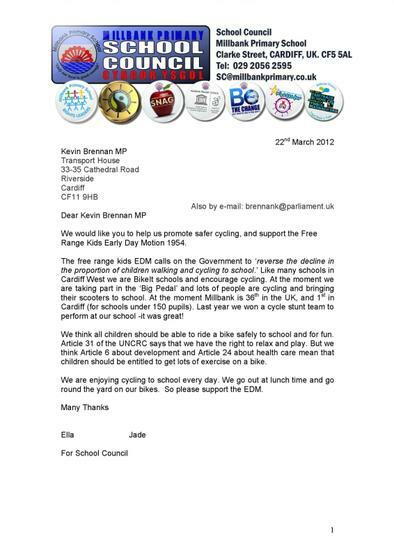 So you can see why we are all so keen to encourage parents to leave the car at home. 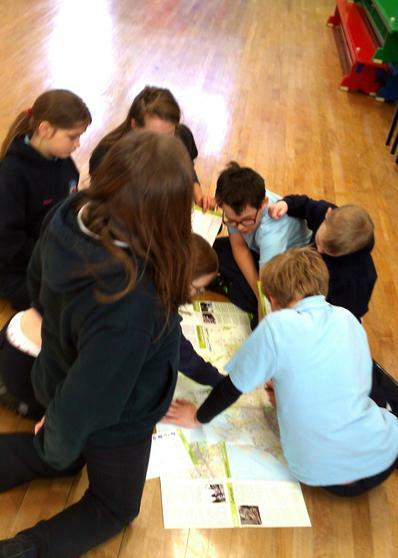 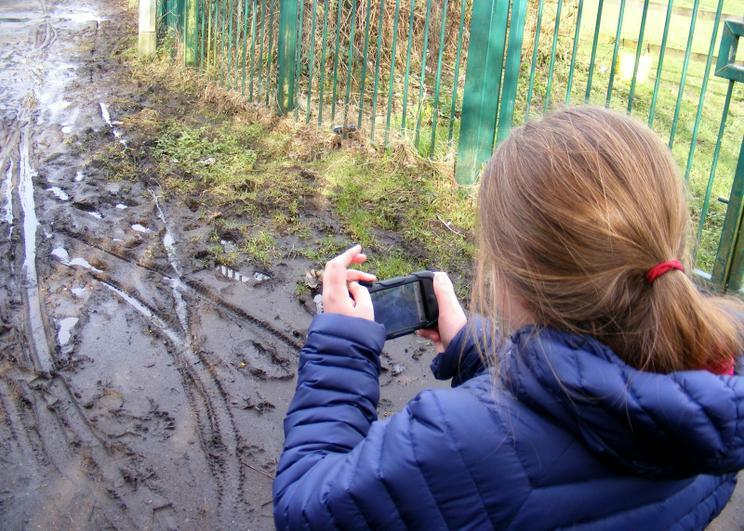 The children had been using Ordnance Survey Maps as part of their studies and for this exercise used the Cardiff Cycle map that is available from Libraries, at our school or to download here. 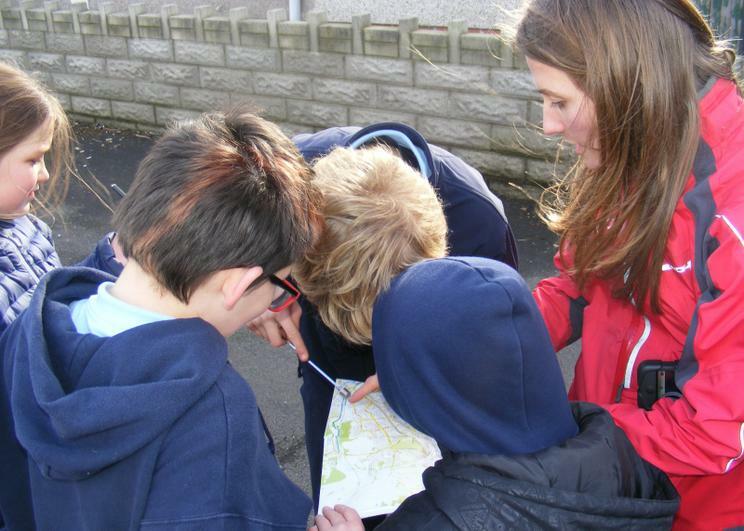 Maps are great as they simplify and standardise a lot of features so they can be easily read. 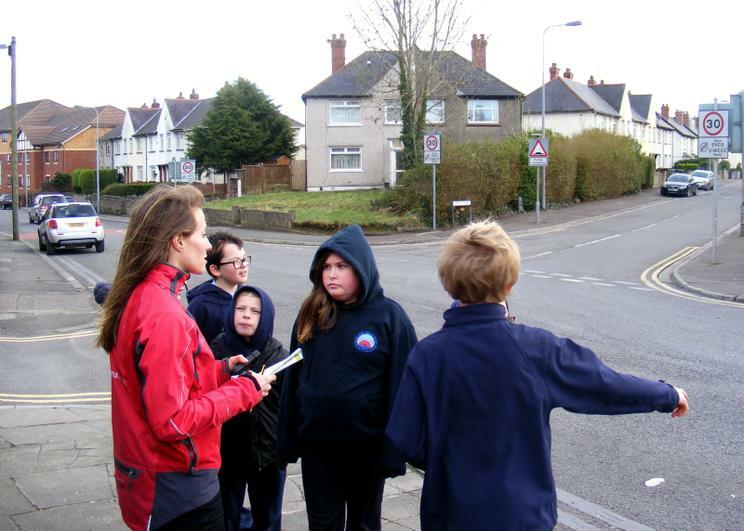 However it was important that we walk the route and see the potential problems that a group of 30 or more cyclists of varying ability might face when they went out. 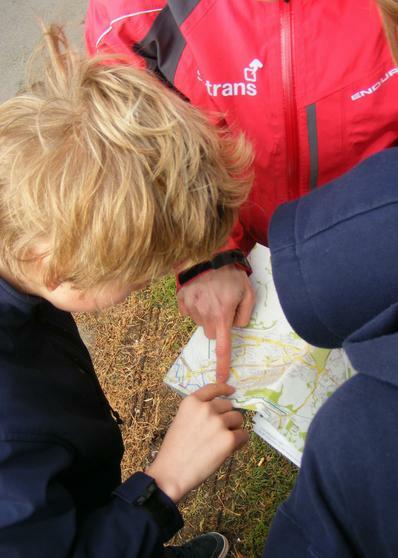 The maps do not show problem parking areas, potholes or where cars drive too fast. 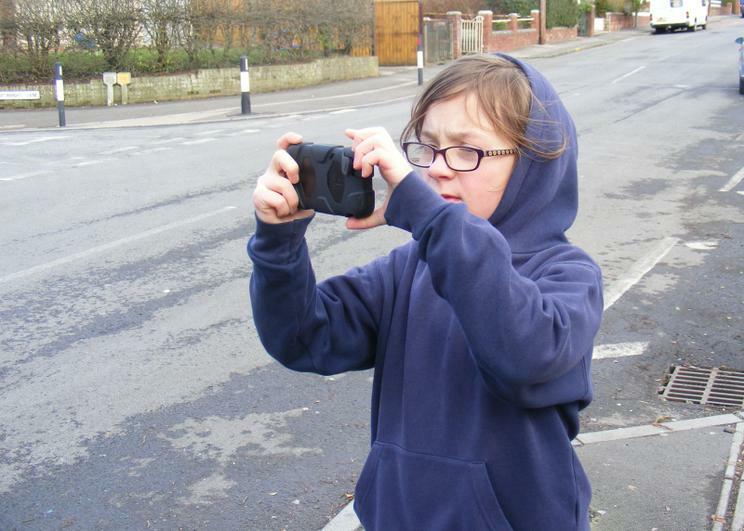 We use a camera to supplement our notes and record our journey. 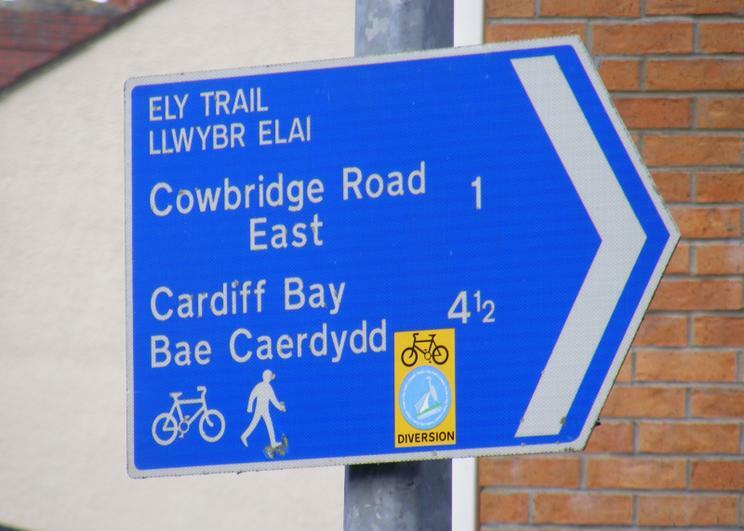 The A48 is known as Cowbridge Rd and is known to be a prehistoric road linking West Wales. 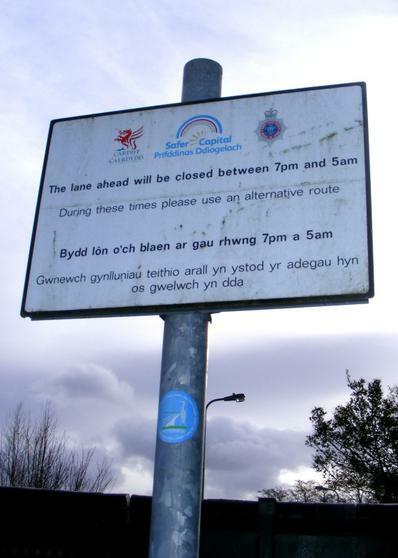 Despite the motorways and bypass/link roads it is still a very busy road especially at peak times. 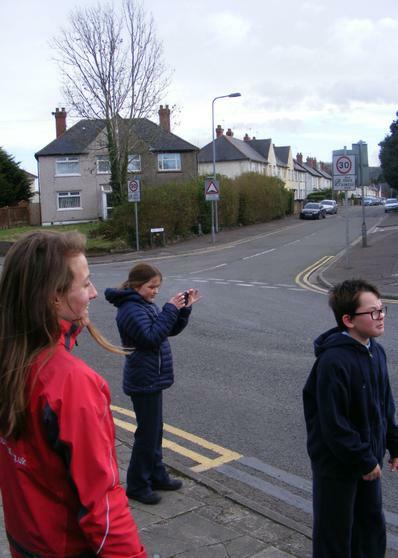 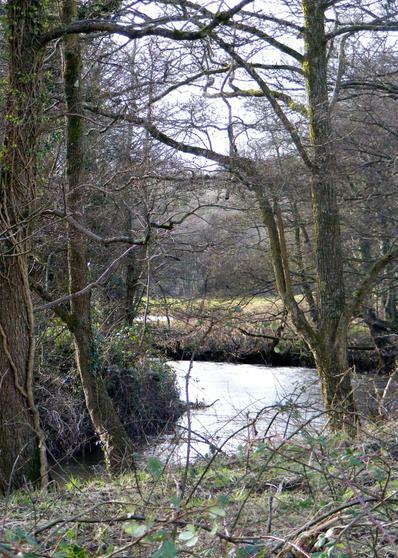 We considered several routes, such as through Plymouth Woods or along the A48 itself. 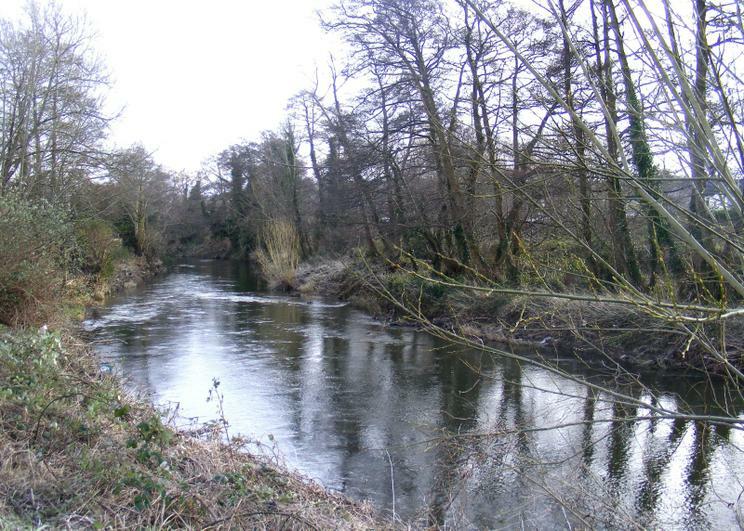 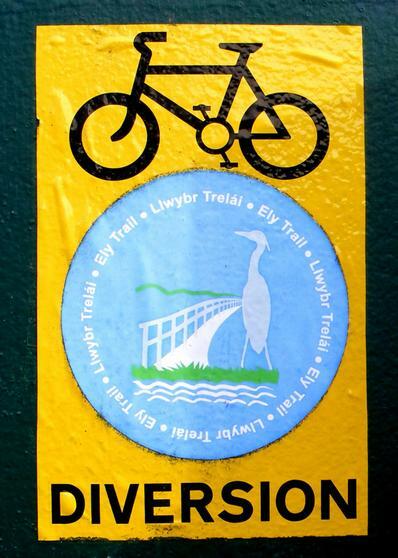 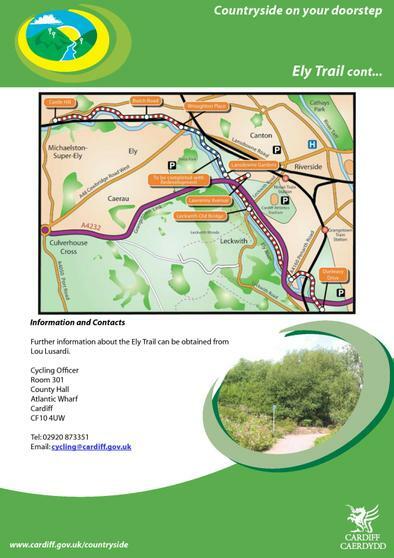 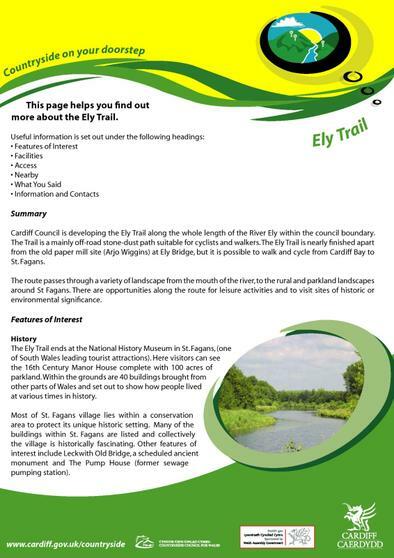 The Ely River Trail is a little known cycle route and big chunks as still missing. 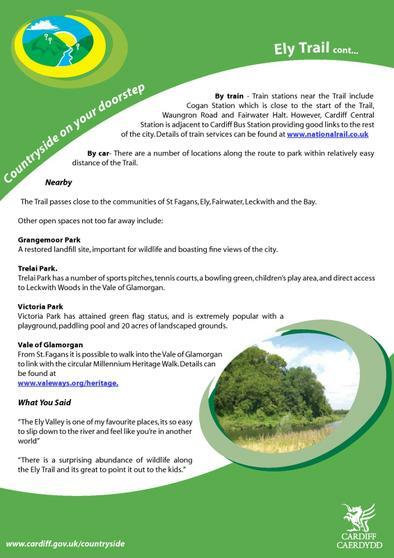 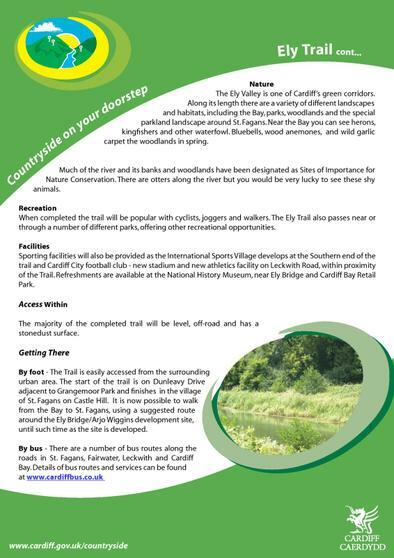 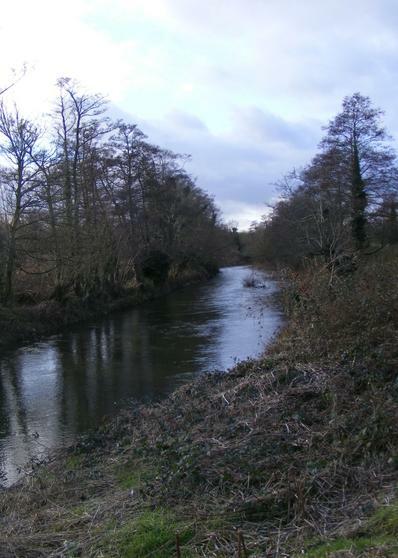 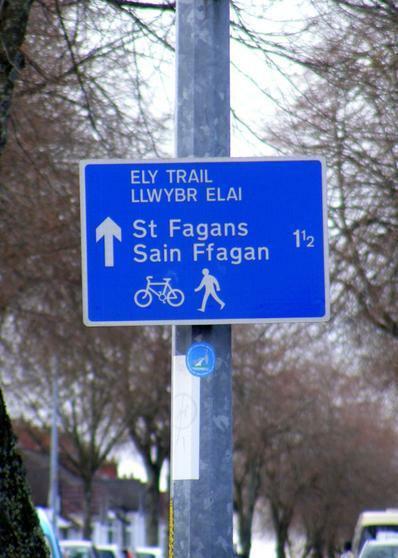 However there is a section from Fairwater to St Fagans that we knew we could safely use if we could get to it.